Indian paintings have been in the forefront for their superior creative and imaginative skills. 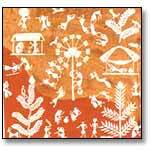 Warli art is an ancient Indian folk art tradition of painting of a Maharashtrian tribe called Warli.. Historians believe that the Warli tradition can be traced back to as far as the Neolithic period between 2,500 BC and 3,000 BC. It has since, traveled across borders and territories and home décor products with Warli paintings have an international appeal and demand too. 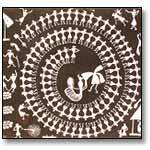 The Warli paintings essentially depict the basic principals of life which are main theme or basis of any tribe. Their major designs include the harvest season,celebration, wedding, rituals and births. 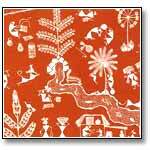 The Warli houses also see a pattern in decoration and designs. 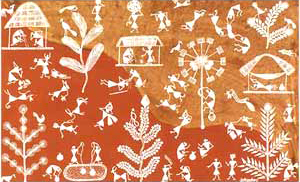 The Warli art has a special characteristic of representing the humble life of the Warli tribe. The trademark of Warli paintings is the use of geometric designs such as triangles, circles, squares, dots and crooked lines are used to depict human figures, animal figures, houses, crops etc. Warli art is known for its monochromatic depictions that express the folk life of socio-religious customs, imaginations and beliefs. Predominately white color is used on a red earthen background. Trace the chosen design on the tracing paper. Then copy the design onto the cloth or paper using a carbon sheet. If it is a cloth, then use metallic colors and let it dry well. Iron on the reverse side of the cloth. If it is paper, then use poster colors and leave it to dry. Draw outlines using white color and leave it to dry for 24 hours. Marriage is one of the most important themes in Warli art. 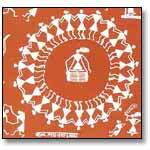 A Warli painting on marriage on clearly show their marriage god, Palghat, birds, trees, men and women dancing in circles, various celebrations. While the reaping season scene is shown by the laborers cutting the crop in the fields. On the other hand modern adaptations in Warli art include bicycles and transistors as well apart from Flora and fauna, musicians and agriculture being the traditional ones. Earlier Warli painting used to be etched out on walls of Warli houses, but nowadays, they are being painted on paper, vases, mugs, bedsheets, apparel too. This art is pretty popular all over India and the world as well. Simple and aesthetic in appeal, Warli Art painting is back and gaining much wanted fame and name.